Drive up to Pop's, and you might just lose your nerve in that vast, concrete Illinois wasteland, brightly lit by gas station flood lights and blazing neon strip clubs. But you'll pull up and park anyway because hell, the damn place never closes. 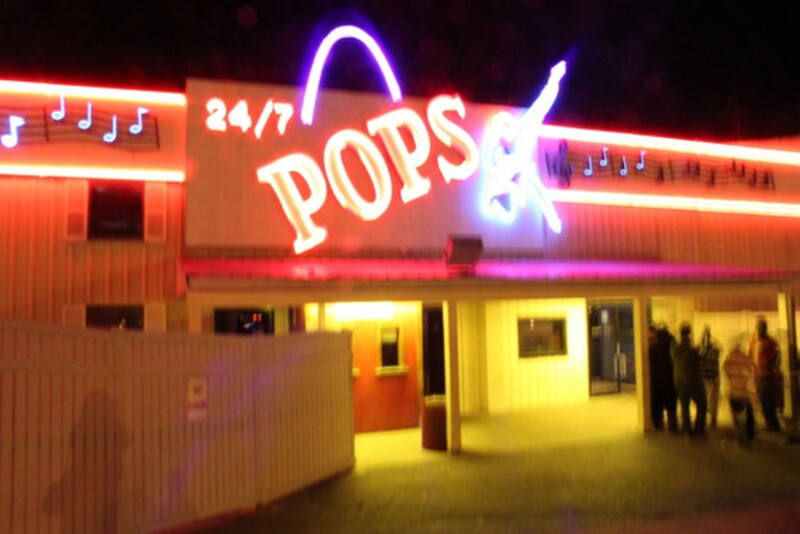 No matter if you arrive at 6 p.m. for a local show or major rock band, or six a.m. after a bizarre strip-club crawl wending from the Brooklyn sin strip to Sauget, there's one thing you can count on at Pop's: Someone is always drunker than you could ever hope to be at this truck stop-venue-watering hole.